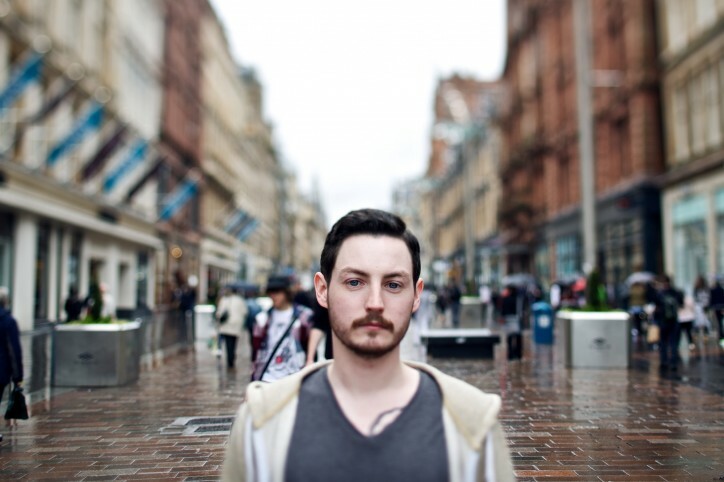 Remember my November on Buchanan Street photo? It was damp and rainy. Well, this is my May on Buchanan Street photo. It is also damp and rainy. Scottish summer! Horrid weather, super picture. Looks like he’s thinking beams of blurry buildings into existence with the power of his mind.